The hottest, driest and lowest national park. 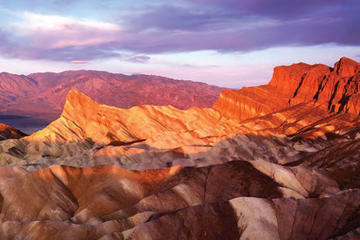 Death Valley National Park is the largest national park in the lower 48 states. 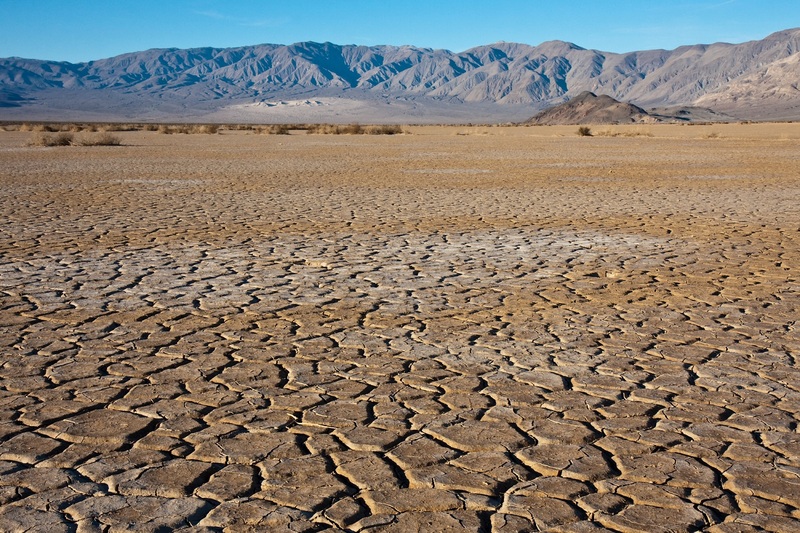 It is one of the hottest and driest places in North America, with the highest temperature ever recorded on the surface of the Earth there in 1913. It has also been designated an International Biosphere Reserve and a Dark Sky Park. Death Valley was first inhabited by the Timbisha Shoshone, who lived there for centuries, hunting and migrating in search of nuts and beans. The land provided for all their needs, and many areas of the park are still considered to by sacred places by their descendants, some of whom still live in the valley, at Furnace Creek. They called the area “tümpisa”, meaning rock paint, because of the red paint that can be made with clay in the valley. The first European visitors arrived follwing the Gold Rush, after gold was discovered in California in 1848. In October 1849, a party that had arrived to Salt Lake City to late to safely begin the journey over the Sierra Nevadas that had been widely used, instead set off on the Old Spanish Trail they had heard about, which went around the south end of the Sierra Nevada and was said to be safe to travel in the winter (avoiding the fate of the Donner Party, just a few years prior). The San Joaquin Company, led by Captain Jefferson Hunt, set out. The going was slow, as the group could only go as quickly as the slowest wagon. Just as dissent began to arise, a young man rode into camp with a map of a “short cut” across the desert, which would cut off 500 miles from their journey. Most of the wagons decided to take this short cut, while the others continued along the Old Spanish Trail with Captain Hunt. The point of separation is today commemorated by the Jefferson Hunt Monument, in Enterprise, Utah. After those on the short cut encountered a canyon, on the current-day border of Utah and Nevada, most of the wagons decided to turn back and rejoin Captain Hunt, but 20 wagons persevered. It took several days to get the wagons around the canyon, and although they didn’t have a reliable map, they continued on thinking that if they continued west they would find the pass. Several days later, at Groom Lake, there was a dispute as to which way to go. The Bennett-Arcan party wanted to head south towards Mt Charleston in search of water, while the Jayhawkers wanted to continue west. They were saved from dying of thirst by a snow storm, and ended up in Death Valley, about two months after leaving the Old Spanish trail. They arrived at Travertine Springs, with their oxen weak and their wagons battered. The impenetrable wall of the Panamint Mountains stood before them, discouraging them. At this point, the groups finally split. The Jaywalkers went north, towards the Mesquite Flat Sand Dunes, where they planned on leaving the wagons and their belongings to walk. They slaughtered several oxen and used the wood of their wagons to cook the meat and make jerky. They crossed the Panamint Mountains via Towne Pass, where they dropped into the valley and made their way south into the Indian Wells Valley towards civilization. The Bennett-Arcan party, however, struggled to cross the salt flats and attempted to cross the mountains via Warm Springs Canyon. They were unable to pass, so they retreated to the valley floor and sent two young men over the mountain to get supplies. They thought the Panamint Range was the Sierra Nevadas, but the men had to walk more than 300 miles to Mission San Fernando, where they got supplies at a ranch and tracked back with three horses. On the way back, one of the horses died and the other two had to be abandoned. They returned to find that many of the group had left to find their own way out of the valley, although two families remained. One man had died during their long wait, but twelve others had died over the length of the journey, so as the party made their way over the mountains, someone said, “Goodbye, Death Valley,” naming the valley. The so-called “short cut” that lured the Lost 49’ers away from Captain Hunt’s wagon train took four months to complete. In the late 1800s, silver and borax brought people into the valley, but most of the towns established quickly became ghost towns. Death Valley National Monument was established in 1933 by President Hoover, twenty years after the highest recorded air temperature on Earth was recorded in the Valley, 134°F at Greenland Ranch (now Furnace Creek). In 1942, the park served as housing for 65 Japanese and Japanese-Americans who had been interned at Manzanar camp before a riot occurred. The prisoners were housed in the old CCC barracks, and they spent three months volunteering with the Park Service staff before they were relocated with jobs and sponsors in other areas of the country. Death Valley was redesignated as a national park in 1994, and was also expanded to include several nearby valleys. An entrance fee of $20 for motorcycles and $25 for private, noncommercial vehicles is charged at entry. The passes are good for seven days. The park offers an annual pass for $50 that is good for 12 months from the purchase date. 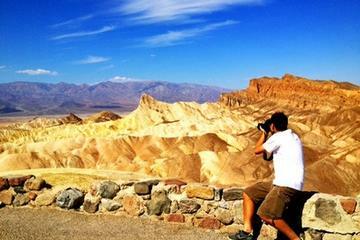 The national park pass ($80), senior pass ($10) and other national park passes are accepted at Death Valley National Park.